Excellent value: Vinyl siding comes in a variety of styles and colors, is relatively inexpensive, and is nearly indestructible, making it easy to understand why it’s so popular. New siding, along with a well-maintained roof, can increase your home’s value and dramatically improve your home’s curb appeal. Guaranteed Roofing is your one-stop source in Greater Cincinnati for all of your roofing and siding needs! We specialize in quality vinyl siding installation in West Chester, Mason, Lebanon and nearby. 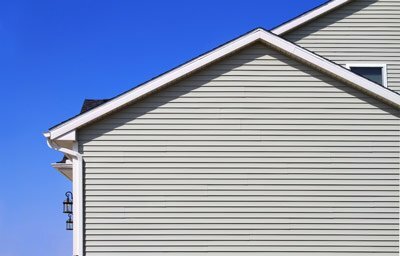 Made primarily from PVC (polyvinyl chloride) resins, vinyl siding was first manufactured in the 1950s, but wasn’t widely used until the late 1970s. Here at Guaranteed Roofing, we can install home siding to suit your style and budget. Contact us today to get started! We are Greater Cincinnati’s expert siding contractor, working in Mason, West Chester, Lebanon, Hamilton, Blanchester, Fairfield, Middletown, Dayton, Maineville, Cincinnati and many nearby towns and cities throughout Ohio. For a vinyl siding price estimate, contact Guaranteed Roofing by phone at 1-513-583-5917 or contact us online today!